"But our happiness was not to last... for Mata Nui's brother, the Makuta, was jealous of these honors and betrayed him, casting a spell over Mata Nui, who fell into a deep slumber. The Makuta was free to unleash his shadows... and unleash them, he did..."
Mask of Light is the first of the BIONICLE movies as well as the first LEGO movie overall. It tells the second half of the 2003 story. The movie begins with Turaga Vakama retelling the Legend of Mata Nui, relating Makuta Teridax's overthrow of Mata Nui. The scene then shifts to Jaller in Ta-Wahi searching for missing Takua, before the upcoming Kolhii game. He soon finds Takua crossing a river of lava to reach a stone totem. Impatient at the delay, Jaller tries unsuccessfully to persuade Takua to come back to Ta-Koro as the Matoran continues to cross the river. Intrigued and thrilled, Takua removes the totem from its pedestal, triggering a booby trap causing the ground to shake and the stepping stones to sink into the lava. Takua, knocked off balance, accidentally drops the totem into the lava, which, to his astonishment, reveals a golden Kanohi hidden within. Takua grabs the mask from the lava and inspects it, noticing an incomprehensible inscription on the inside of the mask. Suddenly the earth begins to tremble, and the Matoran turn to see a huge wave of lava rushing toward him. Takua throws the mask to Jaller and tries to use his Lavaboard to surf back across the stream, while the lava waves nears. However, before Takua can be overtaken by the lava wave, Toa Nuva Tahu surfs across the lava and grabs him, surfing over the edge of a nearby lava-fall to escape the wave. As they fall toward a lava pool below, the Toa of Fire thrusts his Magma Swords into the side of the cliff, slowing and eventually stopping their descent. Tahu then uses his Kanohi Hau Nuva to protect against a falling stream of lava, and they climb back up to Jaller, who rushes to his friend, reproaching him for his carelessness. Tahu notices and briefly studies the golden mask, telling Jaller to show it to Turaga Vakama. The Toa then urges the Matoran to return to Ta-Koro in time for the championship Kolhii tournament, and surfs away. Jaller stores the mask in his backpack, and the two Matoran return to Ta-Koro. The Toa, Turaga, and numerous villagers from the competing villages Po-Koro, Ga-Koro, and Ta-Koro watch from the stands of the Ta-Koro Kolhii field as the Kolhii match commences. The teams, composed of Takua and Jaller, Hewkii and Hafu, and Hahli and Macku, play the match, in which Takua attempts a very difficult move but fails spectacularly as the ball hits Vakama. At the end of the game, the Ga-Koro team emerge victorious. As the three teams bow to the Turaga and Toa, the mask slips out of Jaller's bag and shines on Takua, to universal awe and amazement. Takua, however, discreetly shifts the mask to shine on Jaller. Turaga Nokama translates the Mask's inscription. After the game, a special meeting is held by Tahu's Suva to discuss the revelation of the mask. Turaga Nokama, using her Noble Kanohi Rau, translates the inscription on the mask. She announces that it is the legendary Mask of Light, the Kanohi Avohkii, which is destined to be worn only by the Seventh Toa, who, it is said, will finally free the island of Makuta's shadow. Unlike the other six Toa, this Toa would have to be found. Because Avohkii had appeared to shine its light on Jaller, the Turaga designate him as the Herald of the Seventh Toa, and charged him with the duty of searching for this Toa. After some persuasion on Jaller's part, Takua is sent along as the Chronicler to record the journey's events. At the meeting's end, Tahu chooses to stay in Ta-Koro, Pohatu leaves for Onu-Koro to spread word of the arrival of the new Toa, and Gali travels to Kini-Nui to contemplate these revelations. While meditating at Kini-Nui, Gali notices a new Spirit Star, representing the Seventh Toa's arrival. Meanwhile, Makuta, in his lair, realizes that with the coming of the Toa of Light, his reign of terror over Mata Nui may soon end. To prevent this, he releases the Rahkshi Guurahk, Lerahk, and Panrahk to prevent Jaller and Takua from finding the Seventh Toa. After a word of warning from Vakama, Jaller and Takua leave Ta-Koro on Takua's pet Ussal, Pewku. They decide to follow the Mask of Light, which shines in the right direction. Shortly after their departure, the three released Rahkshi reach the surface of Mata Nui by blasting through Kini-Nui's floor, immediately engaging in battle with Gali. The overpowered Toa of Water is forced to flee and hides in the river. The Rahkshi briefly search for her, but then fly toward Ta-Koro. Gali realizes this, and swims swiftly to the Mangai Volcano, arriving just before the Rahkshi. Gali warns the village of the approaching Rahkshi, and the villagers are evacuated as Tahu prepares for battle. However, upon arrival the Rahkshi manage to easily defeat the Toa, and proceed to destroy Ta-Koro in search of Takua and Jaller. The village sinks into the Lake of Fire, but the Toa escape safely, though Tahu has received a scar on his cheek from Lerahk's staff and laments the destruction of his village. The Gukko bird Lewa summons. Meanwhile, riding on Pewku, Jaller and the Chronicler make their way to Le-Koro. As they wander through the jungles of Le-Wahi, they encounter Graalok the Ash Bear, who attempts to frighten them away, thinking them to be intruders. Jaller climbs up a tree and jumps down on top of the Ash Bear. Before either the Matoran or Graalok can be hurt, Lewa appears and entangles the Ash Bear in vines, and prevents Jaller from stabbing the mother bear. To aid Jaller and Takua in their journey, Lewa offers the two Matoran a Gukko as a ride, and leads them in flight toward Ko-Koro, where the Mask's light is shining. However, they are forced to leave behind Pewku, who is too heavy to fly with them. Jaller and Takua land roughly on the top of a glacier above Le-Koro. While the Matoran are talking with Lewa, the Toa hears the Le-Koro drums beating, and tells the Ta-Matoran that Ta-Koro has been destroyed. Jaller despairs and attempts to return to his village but is dissuaded by Takua and Lewa. Lewa departs, deciding that it is his duty to go back to Ta-Koro and aid his brothers. Shortly thereafter, Jaller and Takua meet Kopaka, whom they were unintentionally following, through a Ko-Koro snowstorm. With Kopaka leading the way, the Matoran travel toward Ko-Koro. On the other side of the island, Lewa has just arrived in Ta-Wahi, too late to help defend against the invasion of the Rahkshi. Tahu berates himself for his inability to protect his village. Gali reproaches him, to Tahu's sharp reply. Despite Gali's attempts to encourage the Toa to stay together, Tahu walks away angrily, the infected scar on his mask gradually changing his mask's color from red to a sickly green. Upon reaching Ko-Koro, Kopaka uses his Akaku Nuva to probe the village, and realizes something is amiss. He soon spots the three Rahkshi. 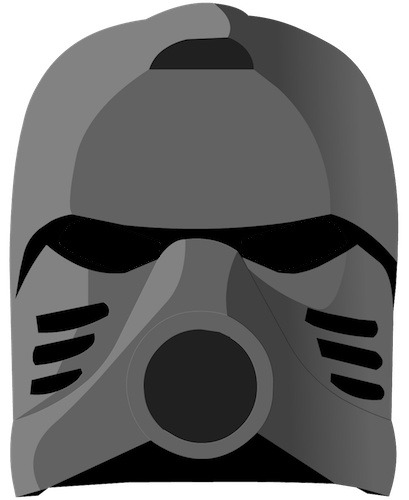 Giving Jaller his Ice Shield, he instructs them to slide down the mountain while he stays to fight against the Rahkshi. Jaller protests, but Kopaka pushes the shield carrying the Matoran down the slope regardless. After blocking a hit from Panrahk, Kopaka jumps down the cliff after the Matoran, using his Ice Blades as skates to catch up with Takua and Jaller. A hard blow from the Rahkshi knocks Kopaka unconscious, and the two Matoran fall off the shield. Takua attempts to lure the Rahkshi away, crossing an adjacent frozen lake, using the shield as a raft and the Mask of Light as a paddle, while Jaller stays behind. The Rahkshi, ignoring Jaller, race toward Takua, but Kopaka recovers just in time and shoots a dart of ice, causing the creatures to plunge into the river. Kopaka then retrieves his tools, and freezes the lake over to prevent the Rahkshi's escape. Pewku arrives, having followed her master, and the Matoran continue their journey. After reaching the Onu-Koro Highway, Takua and Jaller follow the mask's light into the darkness. Inside the tunnel, Takua is separated from Jaller and Pewku while playing with some glowing blue vegetation, and comes face to face with Makuta's large, glowing, disembodied red eyes. The master of shadows attempts to persuade Takua to hand over the mask, threatening Jaller's death. Takua refuses to betray his fellow villagers and runs away, but is frightened out of continuing the journey, and leaves Jaller to search alone. Afterward, within Mangaia, Makuta releases three more Rahkshi: Vorahk, Kurahk,Turahk. Meanwhile, Pohatu has arrived in Onu-Koro and exchanging a few words with Onua, begins announcing the discovery of the Avohkii and quest for the Seventh Toa to the Onu-Matoran. Takua arrives, to the Toa's questions on Jaller's absence. Takua hesitatingly claims they were separated after encountering Rahkshi, to the Toa's lack of comprehension, having not encountered the Rahkshi. Just then, the three new Rahkshi arrive, bursting through the walls of Onu-Koro. Takua recognizes them as new Rahkshi. Onua promptly unleashes an earthquake, burying the Rahkshi under piles of earth. The creatures escape their confines quickly, and Vorahk grapples with Onua. Onua activates his Kanohi Pakari, but the Vorahk's staff absorbs the Toa's power, leaving Onua badly weakened. Pohatu is then struck with fear by Turahk while trying to aid his brother. Takua at first flees along with the rest of the Matoran, but then rides forward and attacks Kurahk with his Kolhii Stick. He is easily beaten, and Tahu, who arrives to help, steps forward to defend the Chronicler. Tahu is struck with anger from Kurahk, which, aggravating the poison in his mask, causes him to fight against Gali when she tries to aid him. Lewa flies Takua out of the battle zone, telling him to go and warn Jaller. Back in the battle, Tahu is blasted with water from Gali, frozen by Kopaka, and brought out of Onu-Koro. As all this happens, Pohatu hurls his Climbing Claws at Turahk while it scales a wall. Takua, who rides away on Pewku, escapes the searching Rahkshi, and Onua accidentally brings the entire ceiling down on both the two Toa and the remaining Rahkshi, destroying Onu-Koro. Elsewhere on the island, Tahu is chained upon a stone, writhing. Gali instructs Lewa and Kopaka to combine their powers in an effort to heal Tahu. The two Toa lay their weapons across Tahu's chest and activate their powers. To complete the healing process, Gali creates a sphere of water, which surrounds Tahu and sinks beneath his armor, cleansing him of the poison. Exhausted after using so much power, Gali collapses, and Kopaka takes her to a lake to rejuvenate. There, Gali ponders aloud upon whether the Turaga were right about the Toa were losing their unity, while Kopaka leaves. Meanwhile, Jaller is attempting to scale a cliff, grumbling. Slipping from a ledge, he is rescued by Takua. Reunited, the two follow the mask's light to Kini-Nui. Takua, who is annoyed at this end to their long journey, impatiently shakes the mask. The Kanohi releases a powerful beam of light, which partially destroys a statue, revealing another statue behind. At that moment, all six Rahkshi ambush the two Matoran retreat toward the Amaja Circle, and are relieved by the arrival of the six Toa Nuva, around them, Onua and Pohatu having been rescued by Kopaka. United, the Toa and Matoran are protected by Tahu's Hau Nuva against the Rahkshi's combined power. Tahu allows the shield to drop, and they engage the Rahkshi in battle. Uniting their powers, the Toa defeat the Rahkshi: Guurahk, Panrahk, and Lerahk are trapped in glass, while Vorahk and Kurahk are frozen after being showered with lava. Jaller absorbing fear from the Turahk's staff. However, Turahk, unnoticed by the Toa, rises from the rubble and approaches Jaller and Takua, attempting to complete its mission. Striking Takua with fear, Turahk lifts his staff up to kill the Matoran. Seeing this, Jaller grabs onto Turahk's staff in an attempt to stop the Rahkshi from killing Takua. He is continuously stricken with fear, far too much for him to handle, and Turahk merely swings the weakened Jaller off its staff. The Toa Nuva then temporarily subdue the Rahkshi. Takua hurries to aid his dying best friend. Jaller passes the mask to Takua, and, as his heartlight fades, tells Takua, "You know who you are." Takanuva using his Light powers. Takua, determined to avenge his friend, accepts his destiny and dons the Kanohi Avohkii, transforming into Takanuva, Toa of Light. Takanuva shoots a beam of light that stuns Turahk and defeats it. He then fires a laser, which completely reveals a carving of Takua's mask under the stone statue in Kini Nui. He then picks up Jaller's body and silently leaves. The scene then shifts to show Takanuva talking to Jaller's levitating mask, questioning the need for Jaller's death. Turaga Vakama then walks up to the Toa and rebukes him, saying that Mata Nui knows best. Takanuva reaffirms that his duty is clear, and vows that Jaller's sacrifice will not be in vain. Takanuva and the other Toa then assemble the Ussanui and place a Kraata from one of the Rahkshi inside, to lead to Makuta. Hahli places Jaller's Hau on the Ussanui after its assembly, for good luck. Pohatu then remarks that the Ussanui will not carry all of them. Takanuva explains to the Toa Nuva that it is his destiny alone to destroy the Makuta, and departs on the Ussanui for Mangaia. Takanuva races through the underground tunnels that lead to Mangaia and sees the door to Makuta's lair. Traveling too fast to stop in time, Takanuva flips off the Ussanui just before it slams into the stone gate, creating a hole. Takanuva walks toward the hole, but stops as Hahli emerges from a compartment in which she secretly stowed away. She climbs out and offers to become Takanuva's Chronicler. He agrees, but on the condition that she stays behind him and is careful. As Takanuva enters Makuta's dark lair, he tells Hahli to summon the Turaga, Toa, and Matoran to Mangaia. Hahli climbs up to the surface, and gives the people Takanuva's message. The Turaga ponder for a while, with many thinking that they may not return, but eventually travel to Mangaia by foot in the end after being convinced by an inspiring speech by Hahli, in which she states that Mata Nui would be awakened that day. Takanuva slings a protodermis sphere toward Teridax. Back in Mangaia, Takanuva walks into a large chamber with three pools of Energized Protodermis, which form the Three Virtues symbol, and a large, Hau-shaped gate. The Toa of Light then proceeds to throw down the Kraata from the Ussanui, and it slithers into the shadows. Takanuva calls the Makuta forth, and a deep, gravelly voice replies that he is the shadow that guards the gate. A huge hulking figure steps into view, and Makuta threatens Takanuva, laughing, and challenges him to a game of Kolhii, with the Mask of Light or Takanuva's exit from Mangaia at stake. Takanuva agrees, and the game begins, the two titans hurling spheres of Light and Shadow energy in their staffs. In the middle of the game, the inhabitants of Mata Nui arrive. Makuta sees them, and mocks Takanuva, bringing the ceiling down behind the Matoran, Turaga and Toa Nuva, blocking the route to the surface. Angered, Takanuva jumps toward a shadow sphere Makuta hurls, grabbing it and turning it to a sphere of light. Takanuva throws the sphere back at Makuta, executing the move he had attempted in the Kolhii Tournament and hitting Makuta directly in the chest at a high speed, and throwing him backward. Takanuva walks toward Makuta, only to find him relatively unharmed. Makuta rises, and tells Takanuva that he must now protect Mata Nui from the Toa, to the Toa's outrage and the Makuta's claim that sleep spares Mata Nui pain, provoking Takanuva's angry retort. The Makuta declares his duty is to the Mask of Shadows and Takanuva sheathes his Staff of Light and jumps on the Makuta, grasping the Kraahkan, attempting to tear it off. The two grapple and fall into a pool of Protodermis. Vapour rises from the liquid pool, and the spectators gather around it. Suddenly, a beam of greenish light shines out of the pool, and the islanders scatter as a large being rises from the liquid. Takutanuva, the merged being of Teridax and Takanuva. The creature, a fusion of the Toa of Light and Master of Shadows, points toward the Hau-gate and declares that light has revealed the will of Mata Nui, and he must be awakened. The being grasps the bottom of the gate and lifts it, allowing the inhabitants of Mata Nui to leave. As Hahli runs through with Jaller's mask however, Takutanuva tells her to wait. Hahli lays the mask on the ground, and Takutanuva revives Jaller with part of his life force. The two Matoran quickly join the others on the other side of the gate. However, the sacrifice of his life force has taken its toll on Takutanuva, and he is unable to keep the gate open any longer. The door crashes down on him, and the Avohkii slides out from under it as it appears that Takanuva is dead. United, we embraced our duty. Light found itself and illuminated our destiny. The City of the Great Spirit, my island home, refound. New legends awake, but old lessons must be remembered. This is the way of the Bionicle. Dialogue was recorded at GGRP Studios in Vancouver, Canada. The soundtrack of the film was released March 10, 2017, fourteen years after the movie was released on DVD and VHS. The film won the 2003 DVDX Award for Best Visual Effects in a DVD Premiere Movie. It also won the 2004 Saturn Award for Best DVD Release. In 2004 the film won the Golden Reel Award for Best Sound Editing in Direct to Video. The musical score for this movie was composed by Nathan Furst. The movie was translated into 26 different languages for sale in global markets. All the background Matoran seen in the movie only wear five types of masks: Komau, Kakama, Ruru, Rau, and Huna. The Hau, Kaukau, and Pakari are exclusive to Jaller, Hahli, and Takua, respectively. A special version of the movie was broadcast in Australia on the Australian Broadcasting Corporation Television and Cartoon Network prior to the release of BIONICLE 2: Legends of Metru Nui. The version featured an extended ending in which Vakama described the city of Metru Nui and clips from the second movie were shown. At the end of the credits, a small message in Matoran symbols can be seen. It translates as "No Rahi were harmed in the making of this film." This is a reference to disclaimers in live-action movies in which animals appear in potentially harmful situations. The movie also contained several bonus features. They included the Mata Nui Explorer, along with deleted scenes, commentaries, interviews, and advertisements of the movie. The first two lines of writing on the back of the Avohkii read "TECHNIC" and "organic." The third line is illegible, and the fourth line reads" one destiny." In the scene when Kopaka's scope is scanning the Ko-Koro gate, the Matoran text in the upper left reads "Pc Tarakava," the upper right reads "Pc Nuirama," and the bottom reads "Pc Ussalcrab." When Takua gets separated from Jaller and Pewku in Onu-Koro, Matoran writing is on the wall. It is mostly illegible, although the word "highway" can be made out. A very early concept for this movie would have taken a completely different route than the finished product. Apparently a human child, live acted, would have entered the BIONICLE universe, and he would have become the Seventh Toa rather than Takua. This idea seems to have been scrapped quite early in the movie's development, since apart from a handful of instances of LEGO employees (like the Bionicle story writer, Greg Farshtey, who was otherwise not directly involved with the movie) mentioning it, nothing is known about it. It has since been confirmed that humans do not exist in the BIONICLE story. Over 4 minutes were cut from the movie's German release. Aside from most shots in which the Rahkshi open their head-plates, the introduction of Lerahk, Guurahk and Panrahk was also deleted, as were significant parts of the Rahkshi's attack on Ta-Koro and Onu-Koro, and most of Takanuva's fight against Makuta. According to concept artwork released by HeavyMetalDesigner in March 2019, Rahkshi were originally controlled by Krana.